Pug busy – So you and your pug have fun together! The psychological and physical development of the pug is closely related to what impressions the young dog gets and what experiences he has. The more varied these are, the better. Therefore, you should make sure from the beginning that your pug is physically and mentally fully loaded. 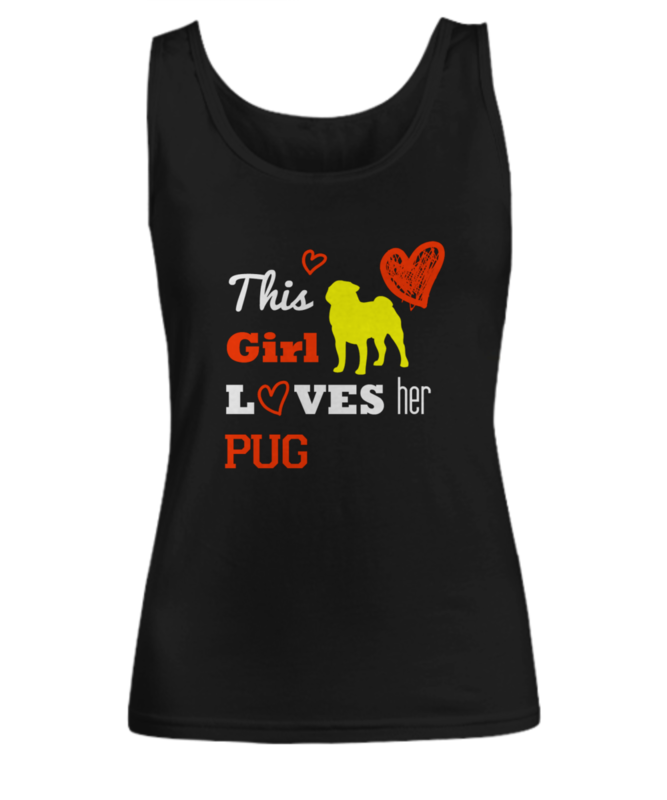 This increases the overall fitness of the pug, which in turn prevents illness and increases life expectancy. If you are a strong reference person for your pug, living together and training dogs will automatically become easier and more harmonious. You should therefore be very busy with the pug to strengthen the bond between you and your dog. The behaviour towards humans has to be learned as well as the social behaviour among other dogs. A good occupation for the pug is besides the practice of the basic commands the learning of small “tricks” as well as a number of intelligence games. How do I reward my pug? Pug Motivation! As motivation for the training and each new exercise treats are used. It doesn’t work without it, but you have to consider that pugs have a tendency to be overweight. So don’t buy anything thoughtlessly, pay attention to low-calorie treats. Perhaps you can also have the normal dry food worked out in a game. But then the feeding from the bowl is omitted. Possibilities for this are for example the retrieving with the food bag or the food ball. The question of which toy to recommend for the pug keeps coming up again and again. There are infinitely many good dog toys. Below you will find the top 3 recommendations for pug dog toys. 🐶 PUPPY ROPE TOYS FOR SMALL DOGS – Pack of 4 Knot Dog Toys for Playing – Perfect Toy for Toss, Chewing Games and Dental Health. Whatever play indoors or outdoors, for interaction with your pet, our dog toy can enhance the pets feelings with the owner, your dog will be more robust and smarter. Vent your dogs’ destructive desires, to avoid damage to your furniture. 🐶 ECO-FRIENDLY For Your Best Friend – Washable 100% Natural Cotton Fibers Fight Plaque Build-Up and can Help With Preventing Gum Disease. Provide your pet a playing atmosphere, excluding melancholy or anxious mood, make your pet become lively and cheerful, your lovely pet will love it! 🐶 GREAT DESIGN Beautiful and Vibrant Colors – This knot toy is specially designed to strengthen your dog’s gums and teeth – Pet Safe for Small Size Dogs. Great Gifts for any Breed of Small dogs. This is a great toy for small dogs to keep them busy – newborn puppy toys for dogs are made of great materials. 🐶 PROMOTES HEALTHY EXERCISE – This 4-knot rope dog toy gives your dog the ultimate challenge during extended playtime. It is built to survive even some of the toughest and longest sessions of chewing. Dogs will have hours of fun and pleasure with this rope dog toy, great for doggy weight-loss programs. These are safe for your cute dogs, puppy teething toys, are strong but there is no such thing as an indestructible dog toy, they are best for newborn small dogs. 🐶 KEEP YOUR DOG’S MOUTH HEALTHY – If your canine friend’s breath isn’t a field of lilies, you’ve probably overlooked his oral health. Not for aggressive chewers. Like every other toy, the cotton ropes are not indestructible. We recommend supervised play and timely replacement of the broken ones. Dog Activity Flip Board is a strategy game with difficulty level two and is particularly suitable for smaller dogs. When is the right time for training and games? Immediately after eating, the pug should have some time to take a nap. Immediately after a walk, the pug is probably too exhausted for most games. Even now he would rather doze a little. – And of course, don’t wake the pug when it’s in a deep sleep and wants to have its rest. Apart from these cases, the pug is almost always happy about employment. The time of day is not so decisive. It helps if you establish a fixed daily routine and reserve half an hour for “exercises and intelligence games”. The pug gets used to this rhythm and then waits for its training session. However, such a planned day is not absolutely necessary. Pug Activity: Only with the right attitude! You should consider a few basic things if you want to keep your pug busy. First, you should never work with coercion. Admit to the dog that he has no desire or sometimes a bad day. After all, the pug is a living creature. Conversely, you should never start training in a bad mood: Most people do not have such a good grip on themselves that they still remain fair and friendly towards the animal. Also pay attention to which games and exercises the pug particularly likes, which he finds difficult and which bore him. Every dog has favorite games! You should get to know your pug so well that you can assess his preferences. Do not repeat games that he does not enjoy. Overtaxing leads to frustration, this applies to people and animals alike. If you practice with the pug, you must slowly increase the difficulty level. The aim of playing and training is to ensure that the dog has as many successful experiences as possible. As a human being, you tend to underestimate the difficulty of an exercise. Break down complex problems into as many partial steps as possible that the pug can master. Also, note that a puppy’s concentration span may be one to two minutes. The length of the exercises should increase as slowly as possible until you and the adult pug reach 20-30 minutes. At least dogs can work longer than half an hour at a time (most people can’t do it either). Make it a habit that every new toy has to pass the “endurance test” for a few hours under your supervision. Even if it is officially advertised as a dog toy, one often experiences a bad surprise with such toys. They could be chewed up or torn open, small pieces come off or something splinters and leaves with sharp edges, a possibly poisonous filling, etc., behind them. A tip at the end: It is always the higher ranked player who decides when and for how long to play. Therefore, you should be in a position to end the game if YOU want to. To do this, observe the pug carefully and abort a game/training session BEFORE you leave the pug. Look for signs of fatigue or loss of concentration. With ideal timing, you still succeed in releasing the pug from the game with a sense of achievement. This means that the game is over after the pug has brought the ball back to you joyfully – not when it grabs the ball and runs away with it. How can I keep my pug busy? For the pug there are two kinds of employment possibilities: Intelligence and skill games, which challenge him mentally, and movement games, which are supposed to load him physically. You should always make sure that your pug occasionally learns a new trick or can try a whole new game. This is the only way to keep him mentally active. For example, he may learn to give paws or play the role with the standard commands Here, Sit, Place, and Stand. Retrieval games are often the biggest and ideal activity for dogs. This game is also known under the name Turnaround and it is easy to make yourself. A plastic bottle is drilled horizontally in the upper third and threaded onto a bar or holder. The reward comes into the bottle, the bottle is not closed. Hold the bar out to your dog. The pug must turn the bottle so that the bottle opening points downwards and the treat falls out. A part of the dry food, treats or chewing bone the pug should work for itself. The “prey” is packed in newspaper or non-toxic cardboard, hidden in old socks or in toilet and kitchen paper rolls. Stick with it when the pug unpacks. The packaging should not be eaten by the pug!!! Use a strong smelling treat like a slice of sausage and pull it over the floor, leaving a trace of smell. The track can lead through several rooms or across the terrace, at its end the sausage slice waits. Then show the pug the beginning of the trail and let it sniff its way to its reward. “Hide” a treat under a mug, the pug can watch. Then ask him to get the treat. He should knock over the cup for it. If this succeeds, you can place empty cups next to it on the next attempt to increase the difficulty level. For this you need different tea bags, for example different herbal teas. Hide one tea bag under a cup, another tea bag in a freezer bag. The pug is then allowed to sniff into the freezer bag and then find a tea bag with an identical smell under the cups. If he shows the right cup, he gets a treat. You can buy a food ball in the shops. It is filled with treats or dry food. The pug must roll or nudge the ball so that the rewards fall out of the ball again. Hide the most fragrant treats in your home, in a basket of crumpled paper or between old towels. Let the pug search for it. Clicker training and Target Stick are training methods that make it easier to teach animals complex commands. In the first step, the pug is conditioned to the click noise or target stick (click = food or target stick touch = food). Once this conditioning is in place, clickers or target sticks can be used for further training. Training instructions can be found on the Internet or via a dog school. How can I use my pug physically? If you buy toys for the pug in shops or make them yourself, make sure that there is no risk of injury from the toys. Sharp edges, tips, splintering or swallowable parts are taboo. The materials used must not be toxic to dogs. As a suggestion, we would like to give you a few tips on the games mentioned here. For this game, you and the pug should use a thick rope, a cord or an old kitchen towel. Let the dog pull on it. Hold the toy as parallel as possible to the ground (do not pull upwards). Sometimes let the pug win, otherwise the game will be frustrated in the long run. However, the pug must then allow you to take this loot from him again. Teach the pug to roll a football in front of him. The next difficulty level is to pass the ball through a kind of goal (e.g. between two poles). For each “goal” give a reward. The dog fishing rod (also called irritant fishing rod) is available in the trade, but can also be made by yourself. Knock a dog-friendly bait, for example, a slice of sausage on a fishing rod. The pug will hunt this bait while you swivel the line and run around with it. Finally, the pug is allowed to catch the prey. Some pugs love retrieval games. Food bags, balls or Frisbee discs are good for retrieving. Throwing sticks is risky, because the dogs can injure themselves. It would be possible for a dog to ram the stick into his palate or even his throat, either out of overzeal or because he stumbles with the stick. In addition, splinters of wood can cause minor injuries to the oral cavity. Throwing sticks is risky because the dogs can get hurt. It would be possible for a dog to ram the stick into his palate or even his throat, either out of overzeal or because he stumbles with the stick. Walks in the woods become more exciting when the pug is allowed to balance or climb on fallen tree trunks. Do you challenge the pug to slalom runs around trees or poles, or maybe you build an obstacle course completely in the living room? Let your dog crawl under chairs, run through rustling tunnels and jump over low mounted broomsticks. Chew bones made of buffalo skin or hard dog biscuits are a good way to give the pug something to do when he has to stay alone. At the same time he trains his chewing muscles and cleans his teeth. However, make sure that the chewing bone has the right size! How can I keep my puppies busy? Is it possible to load a pug without movement? No, you can’t use a dog physically without exercise. However, the need for movement is differently strongly pronounced with pugs. While some even try their hand at agility, others like to lie on the couch for longer. It is hard to predict what kind of pug you will get. If you don’t feel like moving yourself and your pet right from the start, you shouldn’t buy a dog. Pay for a dog sitter, a professional or private walking service. If you find other pug owners or at least people with dogs of similar size in the neighborhood, let the dogs play together. Puppy playgroups also exist in some dog schools and help socialize young dogs. Fortunately, there are games where the pug can run while the master and mistress are lazily standing around. Retrieval games and the Dog Angel fall into this category (see description above). Maybe that would be something for you? How do I keep the pug puppy busy? Almost all of the games described above can also be tried out with the Pug Puppy. The only restriction is that you must not overload the puppy physically or mentally. Physical overload can lead to developmental problems in the skeleton and joints. Dog puppies should therefore not be allowed on bicycles and young dogs should not jump too often or too high. Almost all the games described above you can also try with the pug puppy. The only restriction is that you must not overburden the puppy physically or mentally. Mental overload leads to a stressed and unhappy dog. A puppy can’t concentrate for more than a few minutes at a time, don’t forget that. Also, start at a difficulty level that your puppy can easily master. Positive reinforcement methods are the fastest and easiest way to teach a puppy. These anxiety-freemethods produce a joyful puppy who is a willing partner in the learning process. Trick training builds relationships by deepening communication pathways, trust, and mutual respect. It offers a way to bond with your puppy as you strive toward common goals and delight in your successes. The trust and cooperative spirit developed through this process will last a lifetime. An appendix lists the tricks by skill level so you can find just the right tricks to teach your puppy. A glossary of terms ensures you’ll know exactly what is being discussed.